financial.com has launched the “Next Generation Platform”. Instead of programming much customization work can now be achieved through configuration. The new mass customization platform combines both economies of scale of mass production and the customers’ strong need to diffentiate. The second annual conference of the Münchner Finance Forum took place in the press room at the Allianz Arena. Renowned practitioners and finance professors discussed their view on “Collaboration in the asset management industry” with more than 250 visitors. 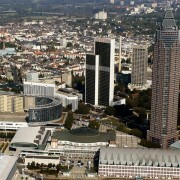 The finance association was founded with support of financial.com and is an initiative for the financial center Munich. For more information see here. https://www.financial.com/wp-content/uploads/2006/10/MFFev180914_54219.jpg 400 600 admin https://www.financial.com/wp-content/uploads/2014/11/web_logo_v5.png admin2006-10-19 11:53:452015-11-13 16:03:04Second Annual Conference Of Münchner Finance Forum On "Collaboration In The Asset Management Industry"
financial.com has moved its Frankfurt Office from Clemensstrasse 6 to MesseTurm (Friedrich-Ebert-Anlage 49, 60308 Frankfurt am Main) which is the same address as our partner Reuters. Phone and fax numbers remain the same. 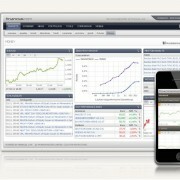 financial.com delivers market data of Reuters to Sparkassen Informatik, the main IT company of the Sparkassen group. The portal S-Investor provides market data to 417 individual websites, each Sparkasse has their own CI, which makes it the biggest financial information internet platform worldwide. 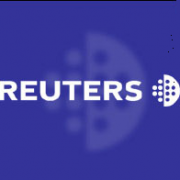 financial.com and Reuters have expanded their strategic partnership into global markets. The basic framework agreement has been in place since 2001. The newly founded Münchner Finance Forum hosted its first annual conference in the press room at the Allianz Arena. The mission of the Münchner Finance Forum is the professional exchange of ideas in the field of institutional investment. Today six renowned practitioners and academic researchers presented their views on “New ways to stable portfolio returns” to more than 200 visitors. A special highlight of course was the location of the event. The Allianz Arena is the most modern soccer stadium in the world and home to FC Bayern München. The event took place with support of financial.com. For more details see here. https://www.financial.com/wp-content/uploads/2005/10/MFFev180914_54402.jpg 400 600 admin https://www.financial.com/wp-content/uploads/2014/11/web_logo_v5.png admin2005-10-20 11:52:502015-11-13 16:03:23First Conference Of Münchner Finance Forum At Allianz Arena On "New Ways To Stable Portfolio Returns"
Börse Stuttgart, the leading exchange for securitized derivatives in Germany, has improved its derivatives feed with real-time Greeks of financial.com. 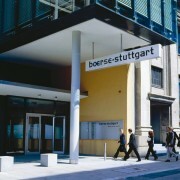 The software is deployed in the data center of Börse Stuttgart. 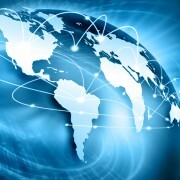 After having built different internet sites financial.com enters the market for intranet solutions. With the launch of Reuters Web Terminal financial.com delivers a comprehensive permissioning and reporting of data usage for professional users for the first time. Due to strategic considerations financial.com abandons its ad-supported business model and focusses on B2B software-as-a-service solutions. The portal optionsscheine.de was sold to Swiss Derivative Partners in exchange for a 5% stake. financial.com has signed a strategic partnership agreement with Reuters on the development and marketing of bespoke solutions. Reuters will deliver content whereas financial.com develops and maintains the platform to distribute the information in a customer driven manner.